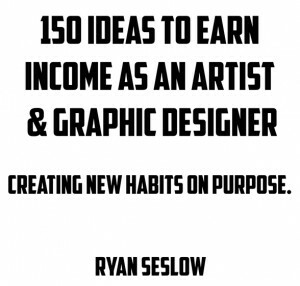 Useful examples from 150 Ideas to Earn Income as an Artist & Graphic Designer. Here is an excerpt from day #21 of my case study. You can apply and or expand on this idea today. Create a fresh and new body of art around a specific trending subject, event or genre. You can easily check and use twitter to see what is currently trending in the world. Think of a new movie, professional sport event or a TV series that has been hyped for a few weeks (or longer.) 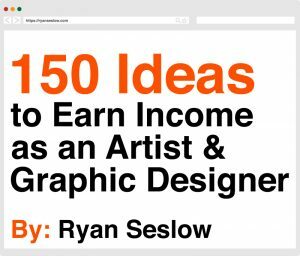 Create an original series of screen prints, paintings, drawings, or digital illustrations around that trending topic’s content and launch an online exhibition of those specific works on your blog or website. Share the online exhibition and new works through a descriptive blog post of the works. Share this post across your social media feeds and ask your friends and colleagues to share the link as well.